Adler M. e Dumas B. (1983). International portfolio choice and corporation finance: a synthesis. Journal of Finance, 38, 3: 925-984. Andersen T. G., Bollerslev T., Diebold F. X. e Labys P. (2001). The Distribution of Realized Exchange Rate Volatility. Journal of the American Statistical Association, 96, 453: 42- 55. Ball R. e Brown P. (1968). An Empirical Evaluation of Accounting Income Numbers. Journal of Accounting Research, 6, 2: 159-178. Bamber L. e Cheon Y. (1995). Differential price and Volume reactions to accounting earnings announcement. The Accounting Review, 70, 3: 417- 441. Bamber L., Barron O. e Stober T. (1997). Trading volume and different aspects of disagreement coincident with earnings announcements. The Accounting Review, 72, 4: 575-597. Bamber L., Barron O. e Stober T. (1999). Differential interpretations and trading volume. Journal of Financial and Quantitative Analysis, 34, 3: 369- 386. Barron O. (1995). Trading volume and belief revisions that differ among individual analysts. The Accounting Review, 70, 4: 581-597. Bastia P. (2004). Il sistema di controllo interno nella governance delle imprese italiane. In: Salvioni D., a cura di, Corporate Governance e Sistemi di Controllo della Gestione Aziendale. Milano: FrancoAngeli. Bertini U. (1969). Introduzione allo studio dei rischi nell’economia aziendale. Pisa: Cursi. Bozzolan S., Trombetta M. e Beretta S. (2009). 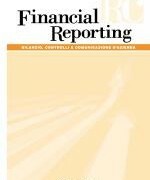 Forward-looking Disclosures, Financial Verifiability and Analysts’ Forecasts: A Study of Cross-Listed European Firms. European Accounting Review, 18, 3: 435-473. Brealy R.A., Myers S.C., Allen F. e Sandri S. (2007). Principi di Finanza aziendale. 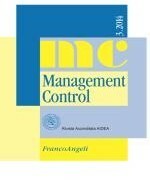 Milano: McGraw-Hill. Cordazzo M. (2007). L’impatto borsistico dell’informativa sugli intangibili: uno studio comparativo. Milano: FrancoAngeli. Courteau L. (2008). Valore d’ impresa e valori di bilancio. Modelli di valutazione per gli investitori azionari. Milano: FrancoAngeli. DeMarzo P.M. e Duffie D. (1991). Corporate Financial Hedging with Proprietary Information. Journal of Economic Theory, 53, 2: 261- 286. DeMarzo P.M. e Duffie D. (1995). Corporate incentives for hedging and hedge accounting. Review of Financial Studies, 8, 3: 743-772. Dimson E. (1979). Risk measurement when shares are subject to infrequent trading. Journal of Financial Economics, 7, 2: 197-226. Doidge C.J., Griffin R. e Williamson R. (2006). Measuring the economic importance of exchange-rate exposure. Journal of Empirical Finance, 13, 4-5: 550-576. Elmy F.J., LeGuyader L.P e Linsmeier T.J. (1998). A review of initial filings under the SEC’snew market risk disclosure rules. The Journal of Corporate Accounting&Finance, 9, 4: 33-45. Fama E.F. (1970), Efficient Capital Markets: A Review of Theory and Empirical Work. Journal of Finance, 25, 2: 383-417. Fama E.F. (1991). Efficient Capital Markets: II. Journal of Finance, 46, 5: 1575-1617. Kandel E. e Pearson N.D. (1995). Differential interpretation of public signals and trade in speculative markets. Journal of Political Economy, 103, 4: 831-872. Kim O. e Verrecchia R. (1994). Market liquidity and volume around earnings announcements. Journal of Accounting & Economics, 17, 1-2: 41-67. Linsmeier T.J., Thornton D.B., Venkatachalam M. e Welker M. (2002). The Effect of Mandated Market Risk Disclosures on Trading Volume Sensitivity to Interest Rate, and Commodity Price Movements. The accounting Review, 77, 2: 343-377. Linsmeier T.J., Pearson N.D. (1997). Quantitative Disclosures of Market Risk in the SEC Release, Accounting Horizons, 11, 1: 107-135. Matacena A. (1993). Il bilancio d’esercizio: strutture formali, logiche sostanziali e principigenerali. Bologna: CLUEB. Mayers D. e Smith C.W. (1982). On the corporate demand for insurance. Journal of Business, 55, 2: 281-296. Mian S. (1996). Evidence on corporate hedging policy. Journal of Financial and Quantitative Analysis, 31, 3: 419-439. Modigliani F. e Miller M. (1958). The cost of capital, Corporation Finance and the Theory of Investment. American Economic Review, 48, 3: 261-297. Nance D., Smith C. e Smithson C. (1993). On the determinants of corporate hedging. Journal of Finance, 48, 1: 267-284. Rajgopal S. (1999). Early Evidence on the Informativeness of the SEC’s Market Risk Disclosures: the Case of Commodity Price Risk Exposure of Oil and Gas Producers. The Accounting Review, 74, 3: 251- 280. Roulstone D.T. (1999). Effect of SEC Financial Reporting Release No. 48 on Derivative and Market Risk Disclosures. Accounting Horizons, 13, 4: 343-363. Sribunnak V. e Wong M.H.F. (2006). The Impact of Excluding Nonfinancial Exposure on the Usefulness of Foreign Exchange Sensitivity-Analysis Risk Disclosures. Journal of Accounting, Auditing and Finance, 21, 4: 1-25. Thornton D., Welker M. (2004). The Effect of Oil and Gas Producers’ FRR No. 48 Disclosures on Investors’ Risk Assessment. Journal of Accounting, Auditing and Finance, 19, 1: 85-114. Verrecchia R.E. (2001). Essays on Disclosure. Journal of Accounting & Economics, 32, 1- 3: 97-180. Zhang H. (2009). Effect of derivative accounting rules on corporate risk-management behaviour. Journal of Accounting & Economics, 47, 3: 244-264.